Additional Notes: Well here is another Akon song. What can i say i just love this dudes music. And charts to this stuff are just fun to play. i got a bit roll crazy this file but they are all easy and fun to hit. I made a hard 9 and an expert 10. small gimmick in the middle. fits perfectly. syncing should be dead on. the 9 didn't get much attention so its not the greatest but its still pretty fun! I'm going to start making hard and experts charts for every simfile now. so that everyone can enjoy the songs i step (if its a harder one anyways). comment, rate, love it, hate it...let me know what you think. thanks!!!! im really impressed with this chart. i agree with flash, i also i have a new warm up song now. good job LUMP! finally i'm seeing charts from real music that we hear on radios and ipods or cd's hahahaha! what's next LUMP? 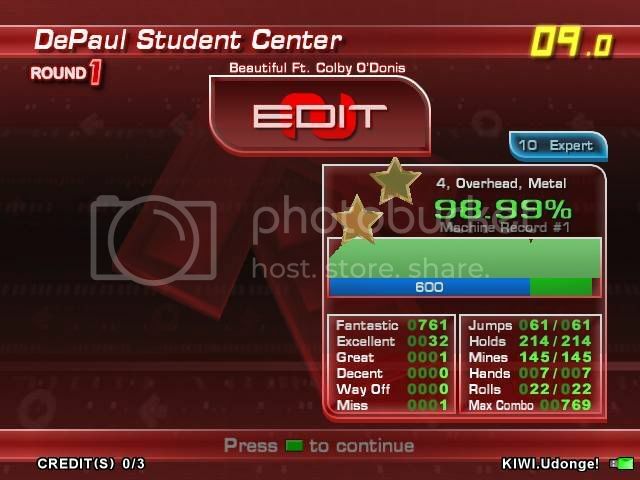 (con't) difficulty, following the slower bass rhythms with 8ths/ well placed jumps might've been more chill. Also, at this speed, some more turns would've been sweet. Good job overall though. awesome!!!!!! perfect sync, perfect patterns, perfect rythm!!!!! i give you 5 on this!!!! !